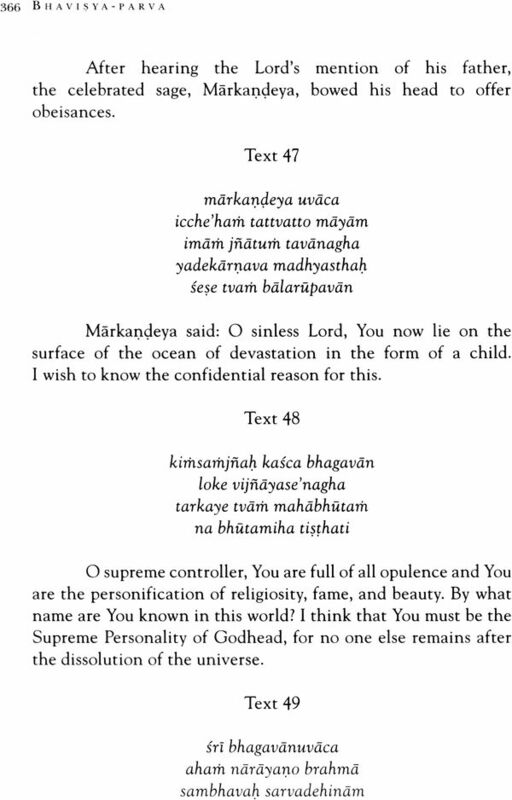 Harivamsa and Mahabharata are complementary to each other. 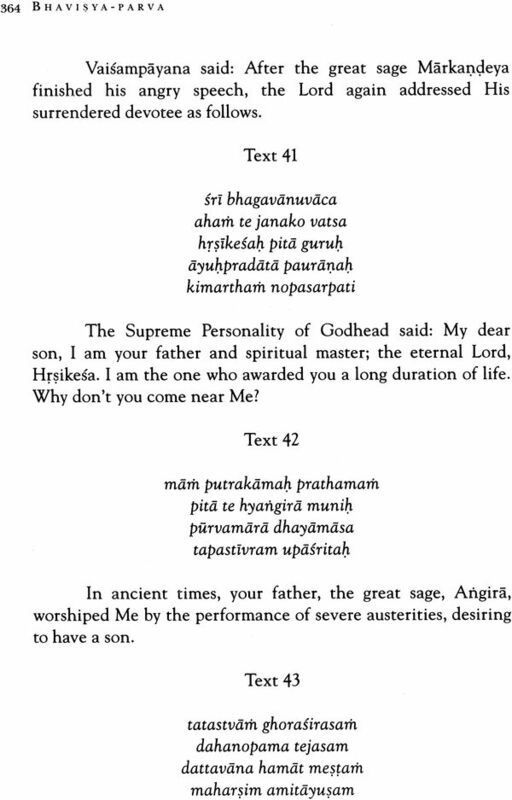 Harivamsa especially describes the pastimes of the Supreme Lord that took place after the battle at Kuruksetra, including His pastimes of disappearance. 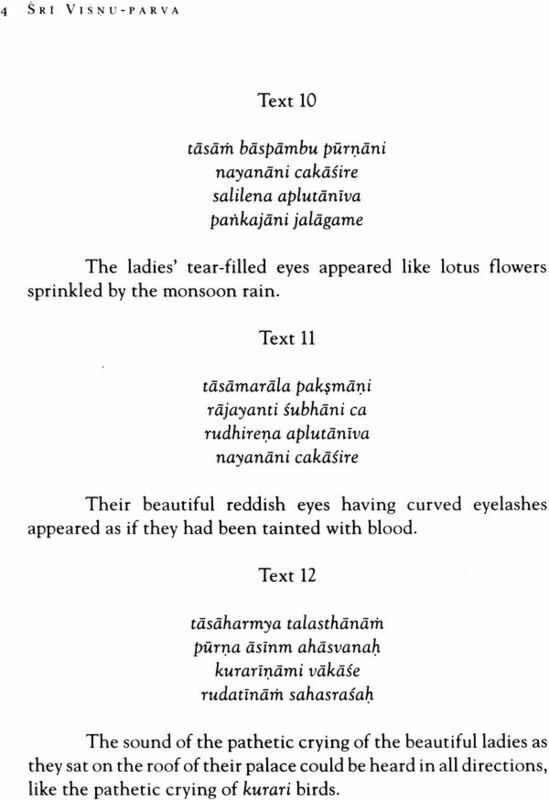 Harivamsa is considered to be a supplement of Mahabharata. 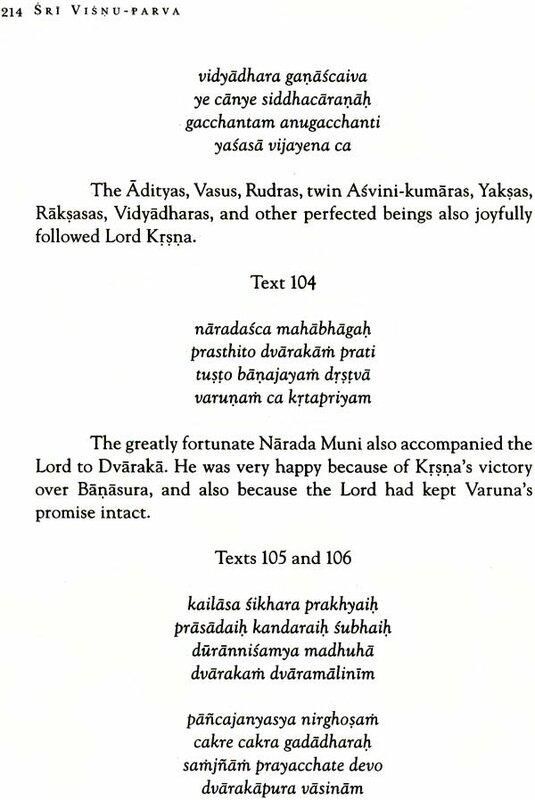 It is divided into three parts-Harivamsa-parva, Visnu-parva and Bhavisya-parva. 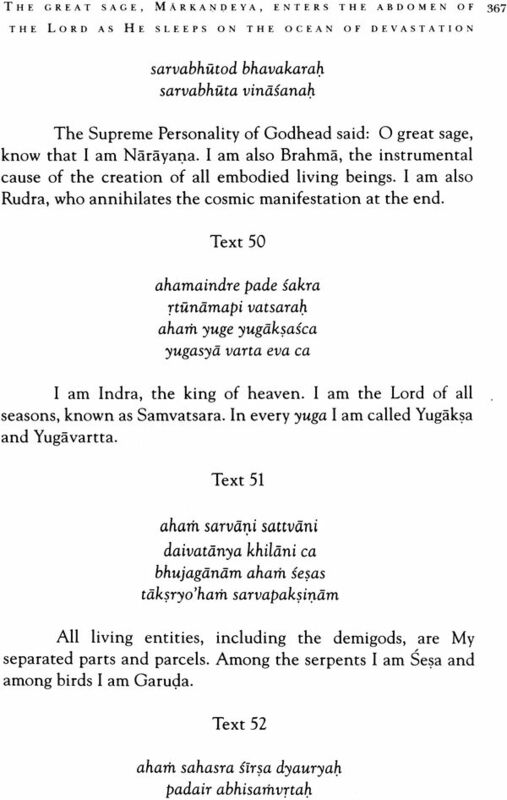 Harivamsa-parva has fifty-five chapters, Visnu-parva has one hundred twenty-eight chapters and Bhavisya-parva has one hundred thirty-five chapters. 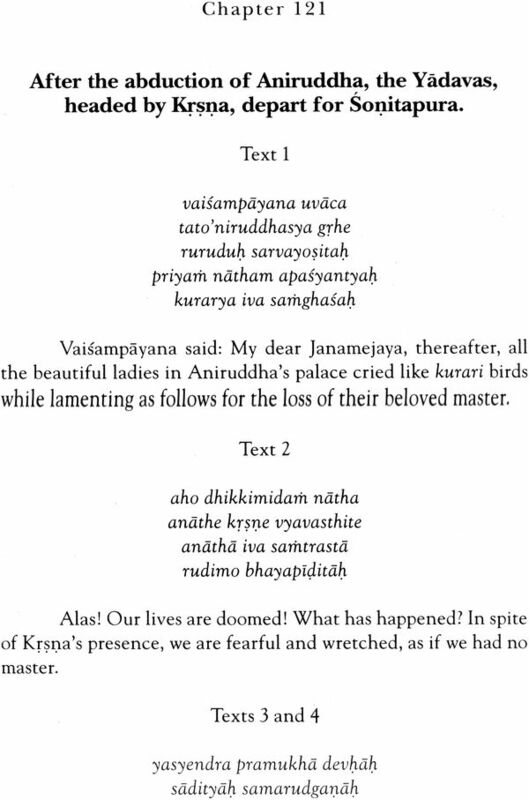 Harivamsa consists of about sixteen thousand verses. 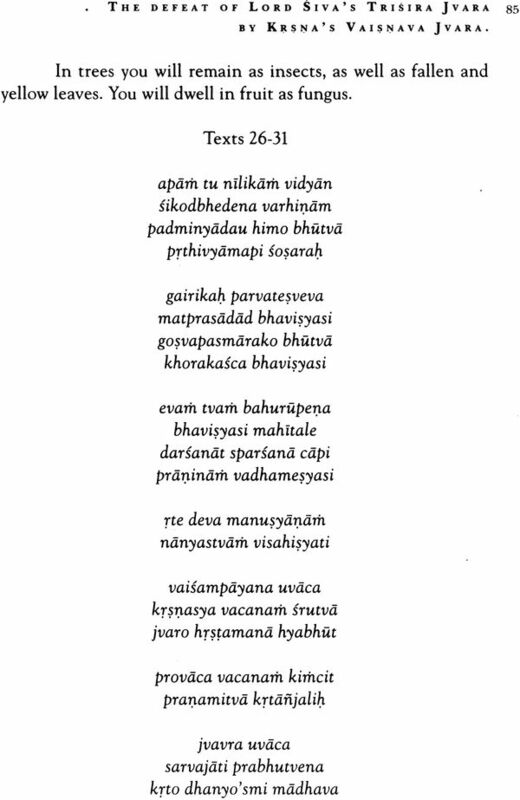 Harivamsa was first recited by the great sage, Vaisampayana, to King Janmejaya. In that assembly, Ugrasrava or Sauti was also present. 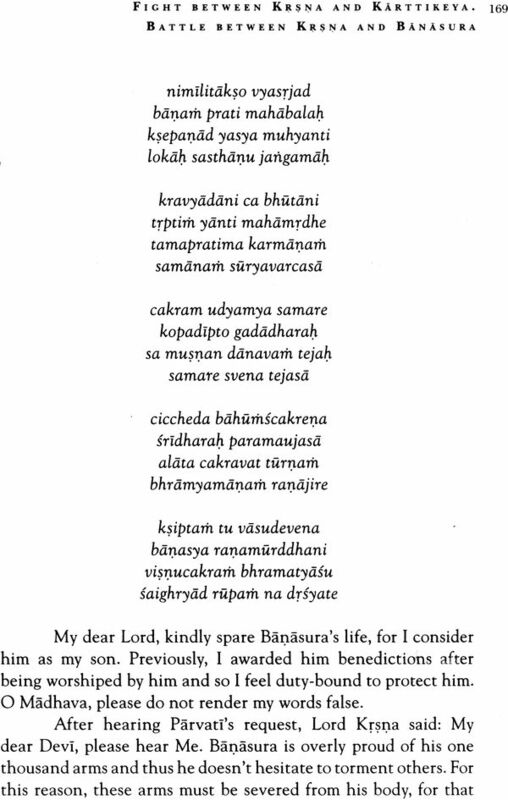 Later on, by the request of the sages at Naimisaranya, headed by Saunaka, Sauti again recited it. 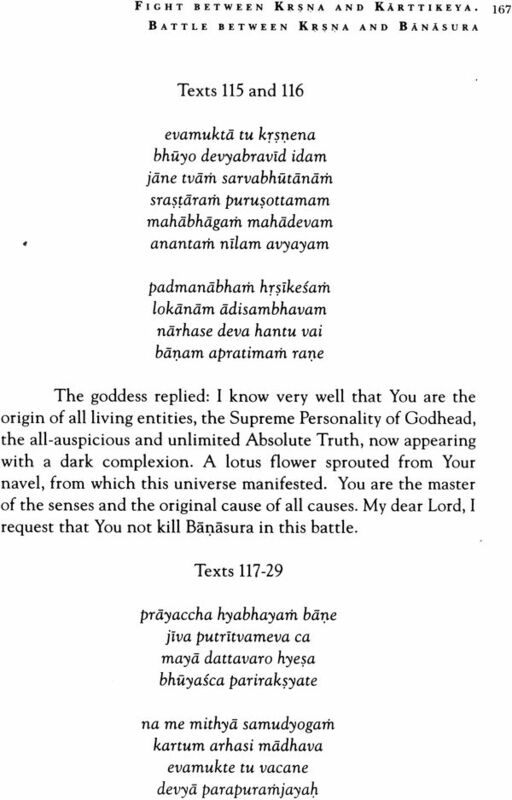 Many Gaudiya-vaisnava acaryas have quoted evidence from Harivamsa in their writings. There is no doubt that the readers of this book will find it both interesting and beneficial for their cultivation of Krsna consciousness of about sixteen thousand verses. 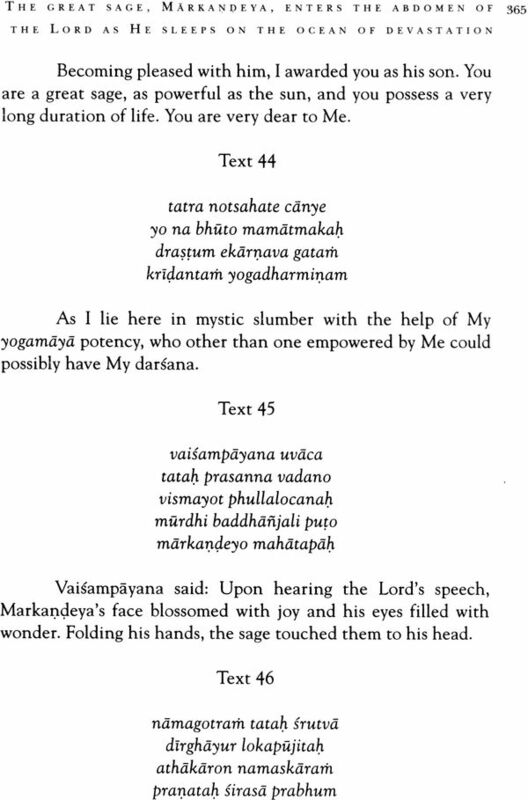 Harivamsa was first recited by the great sage, Vaisampayana, to King Janmejaya. I that assembly, Ugrasrava or Sauti was also present. 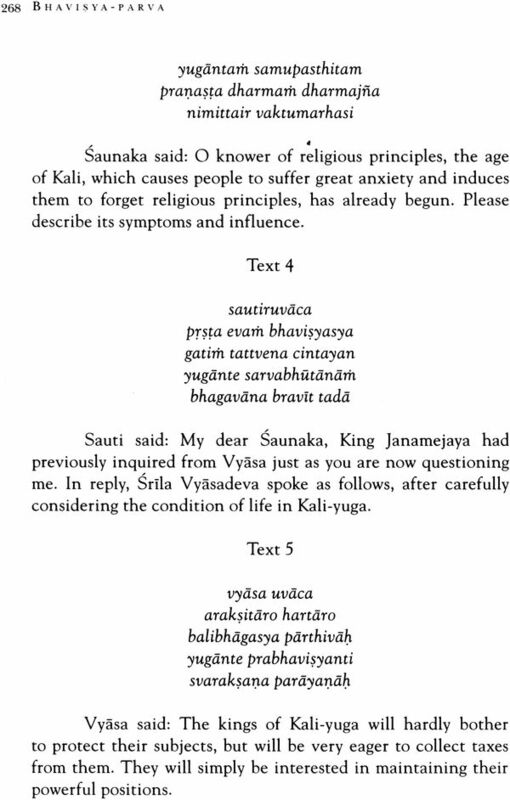 Later on, by the request of the sages at Naimisaranya, headed by Saunaka, Sauti again recited it. 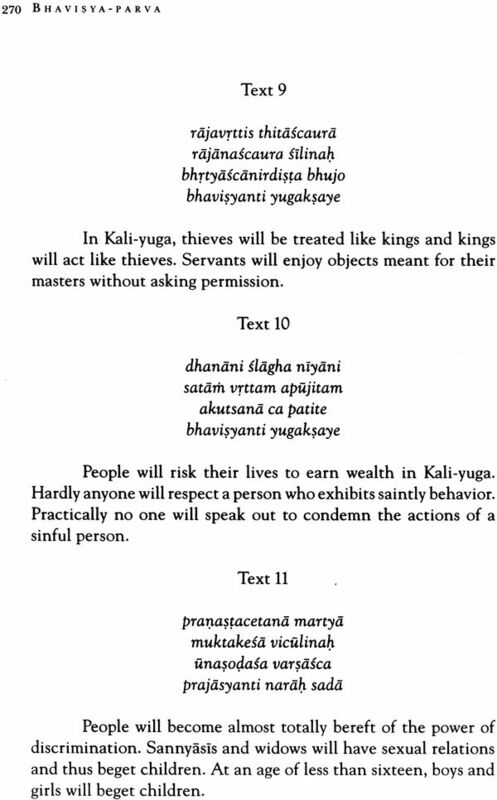 Many Gaudiya-vaisnava acaryas have quoted evidence from Harivamsa in their writings. There is no doubt that the readers of this book will find it both interesting and beneficial for their cultivation of Krsna consciousness. 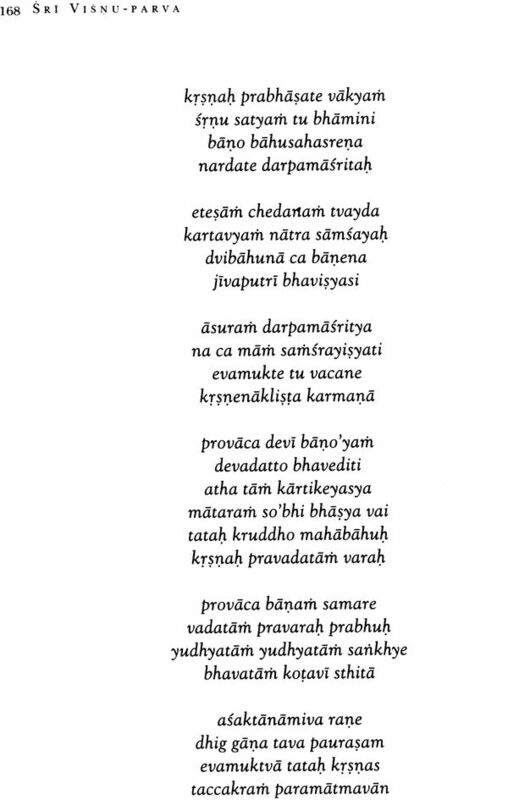 For one who hears the topics of Harivamsa, which was spoken by Srila Vyasadeva, and which is incomparable, auspicious, pure, the destroyer of sinful reactions and most beneficial - what is the need to take a holy bath in the sacred water at Puskara? 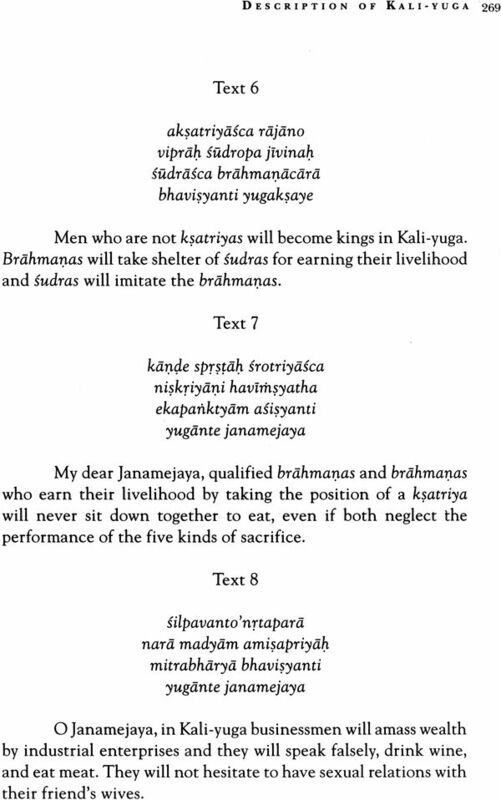 The great sage Vyasadeva, has said that the piety one achieves by performing one hundred horse-sacrifices, which enables one to establish four thousand food distribution centers serving and inexhaustible quality of food, and rewards one with the position of Indira, is achieved simply by giving this most sacred literature, Harivamsa, in charity.